Bake the devil's food cake as directed on the box, in a 13 x 9" pan. While cake is baking, combine the sweetened condensed milk and most of the jar of caramel ice cream topping. (reserve a bit back for the topping). When the cake is done, remove from oven, and poke holes in it, using a fork or straw. Immediately pour the sweetened condensed milk - caramel mixture on top so it can soak into the cake. Cool cake completely. Top cake with semi sweet chocolate chips. In a well chilled bowl, using chilled beaters, whip the 2 cups of whipping cream, powdered sugar and the vanilla into whipped cream, about 1-3 minutes on high. Gently stir in the chopped Snickers Bar pieces. Spread over cake. 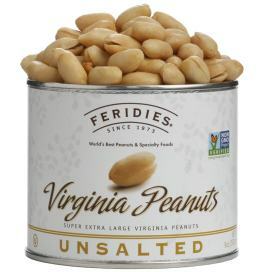 Top with chopped FERIDIES peanuts. Drizzle top of cake with chocolate syrup and the reserved caramel syrup. Chill before serving, and store remaining portions in the refrigerator.